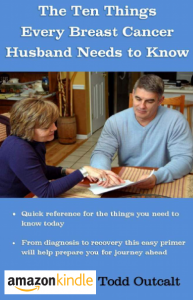 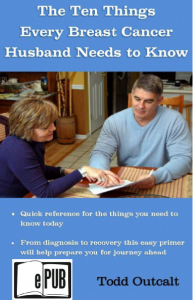 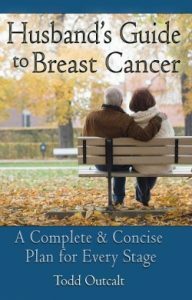 This Kindle eBook,The Ten Things Every Breast Cancer Husband Needs to Know is a practical and quick reference guide to the top ten things men need to remember. 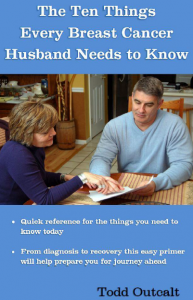 Compatible with NOOK, Sony Reader, and Kobo. 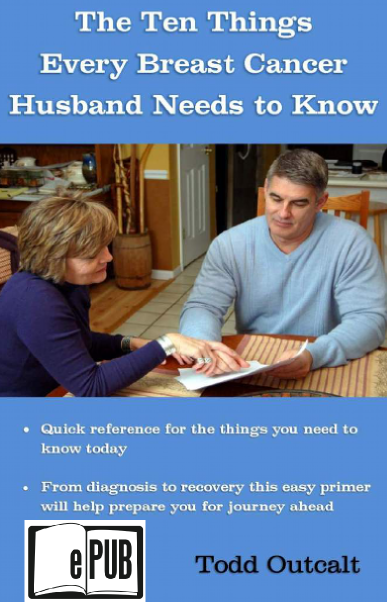 For more information about how to load this ePub file onto your e reader please click here.